Kitchen Remodeling - My Home Company | My Home Company Inc.
Well maybe without knowing it, you already have thought about your kitchen remodeling project, you’re here! Exploring the process and trying to decide the best way to go about a kitchen remodel is step number one. 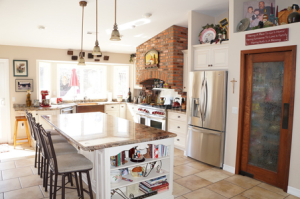 You may have also developed some idea of what you would like your kitchen to look like by seeing pictures of the many beautiful kitchens being displayed in magazines such as San Diego Home and Garden or on websites like Houzz or even here in our portfolio. Collecting pictures, developing ideas and taking notice of the many elements that make up today’s kitchen is a big part of being able to describe what you’ll want in your own renovation. Try and keep a folder or file of these ideas as you progress and review them frequently as they can serve as a guide and reminder for what aspects of your research you’ll want to incorporate into your remodel. In terms of creating the actual design, it can also be extremely informative for us as designer/builders to get a pictorial description of what you like. It can be a lot of fun to window shop and entertain all the different ways in which to renovate the most functional space of your home and best of all, it’s free! It may be that your current kitchen has everything just where you like it except that the cabinets were made of particleboard and installed in the 70’s. Or you’re pretty happy with the layout as it is but you really want a gas stove instead of the electric cook-top you have now. Or many times, it’s the case that a re-location of one or several of the kitchen’s elements would allow for a much better usage of the space and the best design possible. Whether you’re thinking of moving nothing or everything, you’ll need to know that codes have changed quite a bit in the past 20 years so there may still be a certain amount of changes in terms of upgrades to the kitchen’s electrical, lighting and ventilation capacities that will have to be considered even if no major relocations are planned. What are the existing traffic patterns and how are they affecting your current kitchen experience? Are there one or more chefs in the kitchen and will you be cooking at the same time? What kind of cooking will be most often performed and what requirements need to be met for that? Who will take part on the majority of clean up duties? What is the current amount of counter space and how will that change? What consideration has been given to lighting in the existing kitchen and for the new? Where will eating take place and for how many? Will you want any separate function areas such as a combination wine and coffee area? What kind of storage space do you currently live with and how will that change? Will you want any special appliances such as a warming drawer, wine fridge or espresso machine? Are you considering a double/single wall oven or a range type appliance? The answers to these and several other questions along with some productive discussion about the needs of your particular situation will create the framework from which we can get an idea as how best to design a kitchen that suits your lifestyle, your taste and your budget. If you’re living with a kitchen that is worn-out or outdated then you’ll know there are some stark contrasts between what was typical for a kitchen 15 years ago versus today’s designs. Lifestyles and demands have pushed today’s kitchen to the top of the list when it comes to function and appearance. Not just places to cook anymore, kitchens are the center of all the action and are now out in the open, literally. With “Open Concept” heading the list of design style catch phrases, folks are removing walls and opening floor plans to allow for a much broader interpretation of how the new blended space can be used. Whether or not you have a desire to “blow out the walls” as part of your kitchen renovation is a concept that needs to be considered early on as doing so will greatly affect the design, budget and probably the return on your remodel investment. Even if you’re happy with the closed layout of your existing kitchen, it’s always a smart idea to know what’s possible and what others will desire if ever the day comes when that’s important. When you arrive at the point where concepts need to have reasonably accurate price tags, you’ll want to give us a call and take advantage of our thorough understanding of the entire process and the impact one design has versus another. Involving us early on in the design stage allows for the most accurate, streamlined and cost effective project plan because better information allows for better decisions and therefore, better design and yup……it’s still free. 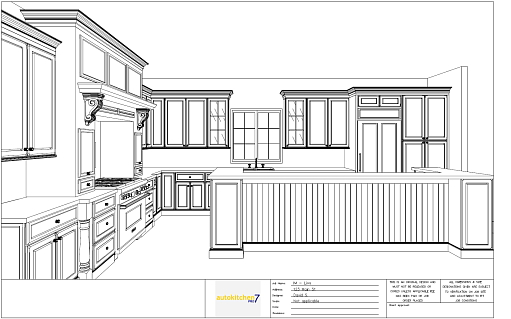 When contemplating design and cost for your kitchen remodel, it’s a good time to get serious about organizing a list of desired components along with a projected cost for each. 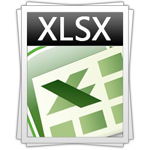 We’ve included a simple Excel Spreadsheet here to give you a nice head start. Befor you know it, you’ll have started a design and a budget. So give us a call and let’s get to work.